Manchester United’s Marcus Rashford has made a slow start to the season, however, the man from Wythenshawe could have just been handed the perfect confidence-booster. The 20-year-old forward was absolutely sublime this evening for England against Spain. 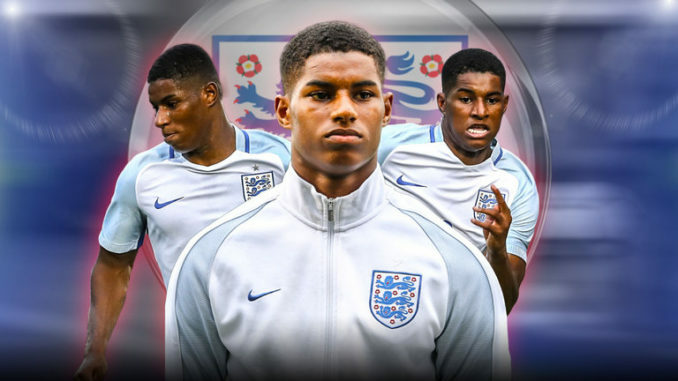 In the first 45 minutes, Rashford had a goal and an assist to his name, after some outstanding link-up play with both Raheem Sterling and Harry Kane. I’m so pleased for the young man, particularly after getting some heavy stick in the press this morning. He’s gone out there and done his talking on the pitch, which is the perfect way to respond to critics. His movement was first-class, his finish for England’s second was top drawer, and his pass into Sterling to open the scoring was inch-perfect. It really was the complete performance from the young man. No Rashford hate today then? Quality pass by Rashford for first goal, confident finish for second. 4 goals or assists in last 4 Eng games. Better for ??????? than MUFC. Marcus Rashford makes it 2. Another fabulous young player who deserves more patience from us. He’s only 20.